The interwebs are at it again. A new challenge is literally flooding people’s noses as Youtubers popularize the Netipotting Challenge - a ridiculous challenge in which one shoves a Netipot up one side of their nose and tries to make water come out the other side. Youtubers then challenge up to 5 friends to complete the dare, otherwise they must donate $5 to charity (Donate Here). All proceeds go towards helping people with sinus infections. It’s unclear where the challenge originated, but the top 10 Youtubers have a combined 300 billion views and growing for just their latest Netipotting videos. 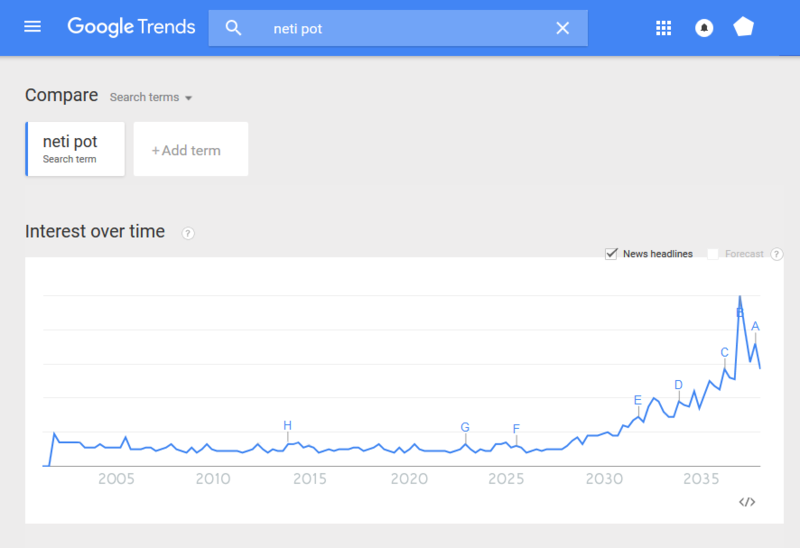 The internet hasn't been this excited since the Ice Bucket Challenge or Crap for Crohns. "At least people aren’t trying to kill themselves with the Cinnamon Challenge again," Says Dr. Iris Armstrong, a Professor from Harvard Medical School. "Netipotting can actually be very beneficial in clearing the nose and ridding sinuses of viruses and bacteria." Health benefits aside, the explosion of the Netipotting trend has made for some very entertaining videos, featuring Jenna Marbles, BFvsGF, Miranda Sings, and of course Smosh. Most interestingly, perhaps the addiction to these strange challenges may give reason as to why Youtubers never seem to age.